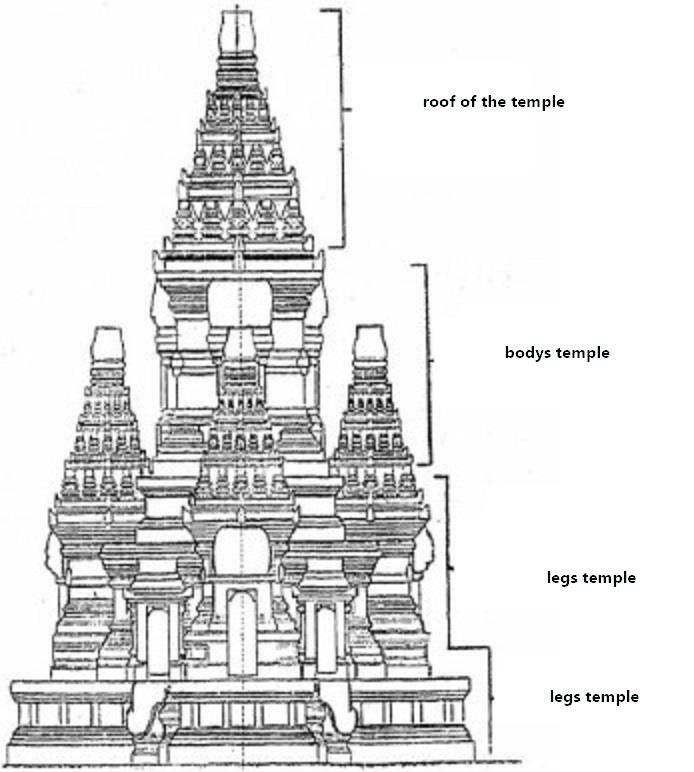 The structure of the temple generally has 3 parts, namely: the temple's legs, the body and the roof.If in Borobudur temple, this part is known as khamandatu, rupadhatu and arupadhatu. In ancient times, a complex development system and lack of technology to make the structure of the temple building, made its use using manual methods.People just arranged stones one by one and carved little by little until they finally formed the magnificent building. The most amazing thing besides the manufacturing process is: Calculation of building materials and mathematical calculations of buildings that are very RIGHT. I personally did not expect that there was a genius at that time.This is why, the theory of aliens and astral beings is that the mastermind behind the creator appears and does not know whether it is true or not. The temple is a building that is made using stone as its main material and arranged to form a certain pattern.There are many goals of the creation itself, such as for worship or just as a royal decoration. The royal era was a time when many temples and similar buildings were created. Maybe if in modern times like now, the temple could be said to be a skyscraper in ancient times. The lower part of the building is a place where the building structure is made bigger and more sturdy.This is so that the building can stand firm and durable. Such a system applies to all types of temple buildings in the entire world. With a sturdy bottom, the building above can stand well too. this is the part of the building that is the key or the answer "why temples can last so long" besides because the stone material is the main material of its construction. This is part of the place where all activities take place, especially for buildings that are designed for worship purposes. In addition, this section also has beautiful sculptures and carvings or stone carvings.If you pay close attention to all the forms of this building, it is in this middle part that all beauty will be centered. Borobudur is one of the magnificent buildings that in the middle of this building there are many types of statues. In addition to tourist destinations, these statues are a source of research and learning for students who are studying history in Indonesia. The last part is the top of the temple.Apart from being a distinctive feature, in this section, it is used to lay the royal symbol or the location of the idols of the gods worshiped. This part is the most obvious part of the distance. The makers know this, so in this section, there is usually a sign or feature that indicates who the maker and kingdom of this building was created. From all perspectives, both in form, material, artistic and system of creation, there are no buildings in the modern era that can match the temple buildings in ancient times. The structure of the construction of the temple has actually been applied in the building of the modern era. Only the material and the way of making are different.We should be very proud, have a super genius ancestor. You can imagine, what kind of human in the past could make a building as grand as a temple. 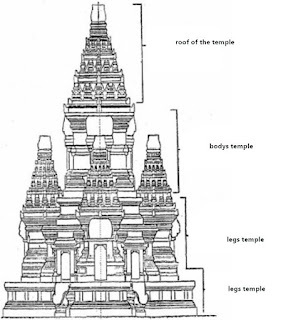 0 komentar untuk Temple Structure in The World ( How To Build a Temple ).